The Environment Minister Alex Attwood has confirmed that there were 48 road deaths in Northern Ireland in 2012, the lowest in over 80 years since records began. The provisional figures on fatalities are that four motorcyclists tragically lost their lives on Northern Ireland roads which is a reduction from 2011 when six motorcyclists and one pillion passenger lost their lives. Although the provisional statistics on the reduction of fatalities are welcome, they don’t explain the circumstances i.e. whether a single vehicle collision or involved with another road user, for example in a violation of right of way collisions or whether in a rural or urban area. At Right To Ride we await the full report and the added figures of serious and slight injuries to see if there has been a reduction in these as well. (Serious Injury: An injury for which a person is detained in hospital as an ‘in-patient’, or any of the following injuries whether or not the person is detained in hospital: fractures, concussion, internal injuries, crushings, burns, severe cuts and lacerations or severe general shock requiring medical treatment. Slight Injury: An injury of a minor character such as a sprain, bruise or cut not judged to be severe or slight shock requiring roadside attention). However provisional figures from the PSNI for the period 1st January 2012 – 31st October 2012 compared to the same period in 2011 show for Seriously Injured a reduction for motorcyclists from 91 to 82 and for Pillions from 6 to 2. 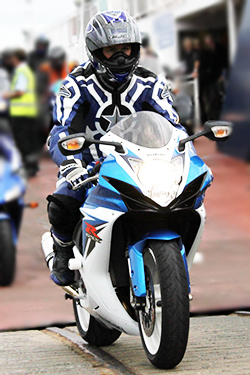 For Slight Injuries for motorcyclists there was a reduction from 199 to 153 and for pillions, an increase from 6 to 11. Can we put our finger on any reason for the reduction? Not really, but we can suggest a few. It may be due to the fact that 2012 was one of the wettest years since records began. Or because riders are more mature and possibly have a stronger sense of their own mortality; less people go out to pubs and clubs – possibly due to the economic climate. Maybe it’s because newer and younger riders coming into motorcycling are less in number and may have a completely different attitude which may also be due to the education and safety campaigns. It is a mystery, but whatever the reason, it is good news. 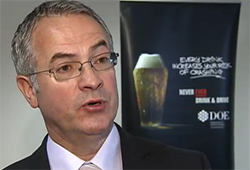 Alex Attwood comments, “The Department will continue working in partnership with the DRD’s Roads Service, the PSNI, the Northern Ireland Fire and Rescue Service, Ambulance Service amongst others, delivering a programme of road safety education, engineering and enforcement initiatives. Mention was made of the road safety forum which has continued to meet to facilitate the sharing of views and concerns of key stakeholders. Right To Ride has a place on this forum and we look forward to this year’s meetings and those of the Motorcycle Safety Forum to promote and improve road safety for motorcyclists in Northern Ireland and to implement the positive motorcycle safety recommendations in the DOE’s Road Safety Strategy to 2020. The DOE has worked closely with other organisations to deliver the road safety message at local levels and has also awarded grants to the voluntary and community sector to address local road safety issues. Ride It Right and First Aid For Riders Safety initiatives, were awarded DOE grants for delivering a road safety message for motorcyclists and a self-funding initiative to bring the Ambulance Club’s “Crash Card” to Northern Ireland is under way, to complement two years of the motorcycle community looking after its own safety. However since then and as recently as 2012 at the European Motorcycle Forum in Cologne, organised by the Federation of European Motorcyclists Associations (FEMA), Claes Tingvall in his presentation at the forum clarified the statement that was picked up by rider organisations as anti-motorcycling. Mr Tingvall has said at various times in the last few years – “he no longer saw motorcycles as incompatible with Vision Zero and that progress toward zero motorcycle deaths needed to focus on rider behaviour rather than vehicle or road design. The motorcycle community work on road safety in Sweden is forward thinking and the results achieved are very possible the best in the world. The truth is the motorcycle community is probably more safety orientated than any other user group in the community when it comes to the road transport system it actually cares more about safety. Riding a motorcycle is not unsafe but it can be, there are user groups within the motorcycle community who ride with extremely low risks there are motorcyclists who ride with extremely high risks, it gave us the insight that if it can be so safe to riding a motorcycle then it must be possible to do it for all”. 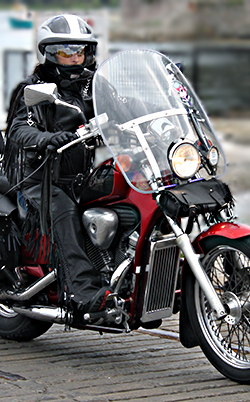 In 2008 the Roads Authority in Norway in collaboration with the riders Group NMCU produced a “Vision Zero Motorcycle Road” showing that motorcyclists can not only fit into Vision Zero but can lead the way for the benefit of motorcycling. We as motorcyclists must claim Vision Zero as our own and as mentioned by a motorcycling colleague recently we must also redefine it so that it is positive for motorcyclists. If for Northern Ireland the Minister’s vision and ambition is for zero fatalities then any radical and bold action brought forward must include motorcycles, to lead to our own Vision Zero for the benefit of motorcyclists, with the necessary parity in the transport mix with other road users. In 1931 there were 114 road deaths and this number increased over the years before peaking in 1972 with 372 deaths. The number of road deaths then gradually reduced during the late 1970s and the 1980s before levelling off with around 150 deaths per year during the 1990s. Road deaths then decreased during the 2000s dropping from 148 fatalities in 2001 to 115 in 2009 before the numbers virtually halved in 2010 (55 fatalities) with similar numbers recorded in 2011 (59 fatalities). This latest figure of 48 deaths in 2012 would indicate that the annual level of road deaths continues to decrease. Drivers of motor vehicles were the single largest casualty class from 1 January to 31 December 2012, accounting for 21 casualties killed. There were also 10 passengers, 9 pedestrians, 4 motorcyclists, 2 pedal cyclists and 2 other road users killed in road traffic collisions in 2012. There were 5 child (under 16) fatalities recorded in 2012 compared with 2 child fatalities in 2011. 14,570 people have lost their lives on NI roads since records began in 1931 and 74,275 have suffered serious injuries since serious injuries were first recorded in 1971. (The serious injuries figure does not include 2012 as this will not be confirmed until mid-2012 although it is expected to be several hundred). 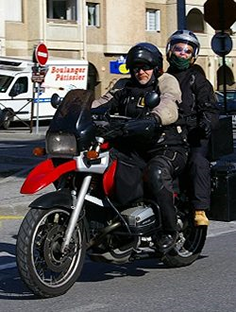 Motorcyclists: Drivers/riders of mopeds and motorcycles (includes riders of two-wheeled motor vehicles, motorcycle combinations, scooters and mopeds). 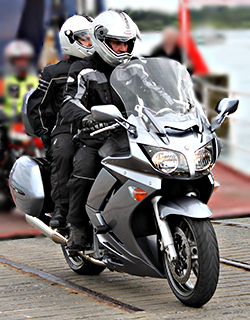 Pillion passengers: Passenger on a moped or motorcycle. A new suite of real-life accounts in the ‘Crashed Lives’ campaign was launched in January these stories highlight our vulnerability on the roads and the lasting devastation of road tragedy. Launched in September ‘Excuses’ campaign highlights that over 95% of collisions where someone is killed or seriously injured are due to human error – not the roads, not the weather, not the vehicles, not the environment. Hence the campaign clearly states that crashes are not ‘accidents’. The campaign states ‘Kill the Excuses. It’s no Accident’. The anti drink drive ‘Hit Home’ campaign was developed into 3D format for cinema. Having road safety message in 3D is a first for anywhere in the European Union and second in the world, after Russia. The road safety forum continued to meet to facilitate the sharing of views and concerns of key stakeholders. The Department continued working in partnership with the PSNI, the Northern Ireland Fire and Rescue Service and the Ambulance Service, to deliver a programme of road safety education and enforcement initiatives. DOE continued to work closely with other organisations to deliver the road safety message at local levels. In particular, the GAA, Young Farmers Clubs’ of Ulster, Allstate NI, Coca-Cola and several motorsport organisations have been hugely supportive. The Department has also awarded grants to the voluntary and community sector to address local road safety issues. While DOE has responsibility for road safety many partners have contributed to improvements during 2012. The Police have targeted resources towards rural areas and have continued their enforcement of speeding. Perhaps it could be put down not only to weather and perhaps a lower number of miles travelled but also to the financial problems and the costs of maintaining a bike or a car for that matter on the road. Seems sensible to reduce ones mileage and cut some of those costs.